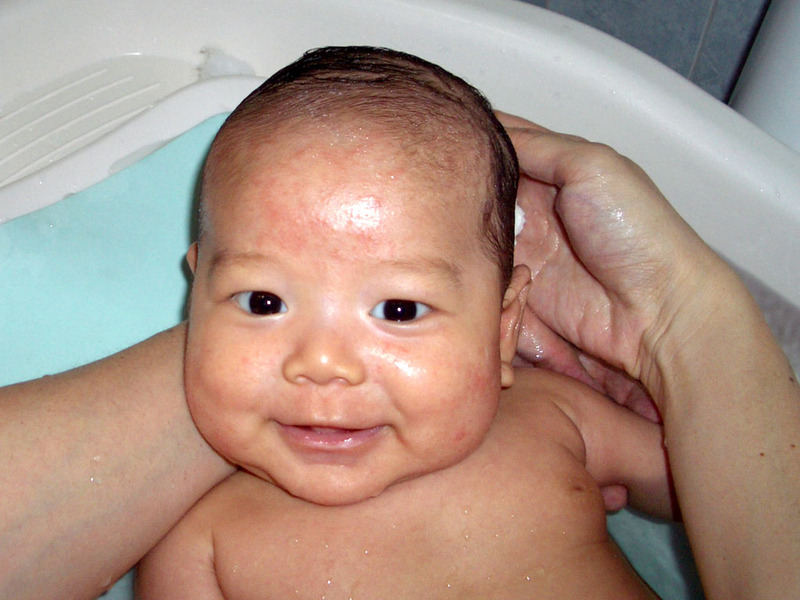 Ethan's morning bath is a routine he looks forward to now. Normally, Daddy gives him his bath but today Mummy is holding him up. It feels a bit different, but Ethan is still loving it! After the bath, we have our Quiet Time. 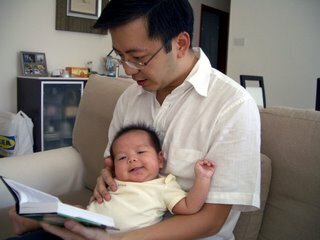 Dad's been reading Romans to Ethan and teaching him to pray. Mum has already started reading the Psalms, so we're generating the quite the OT and NT scholar. Hebrew and Greek alphabets will be starting soon! That is excellent!!!! Ethan will know the bible by hard soon. He is so cute in the bath - great picture.